Petra Jones is a podcaster, mumpreneur supporter and clothing designer. Her experience includes owning and designing her children's clothing label and running a business for almost six years. 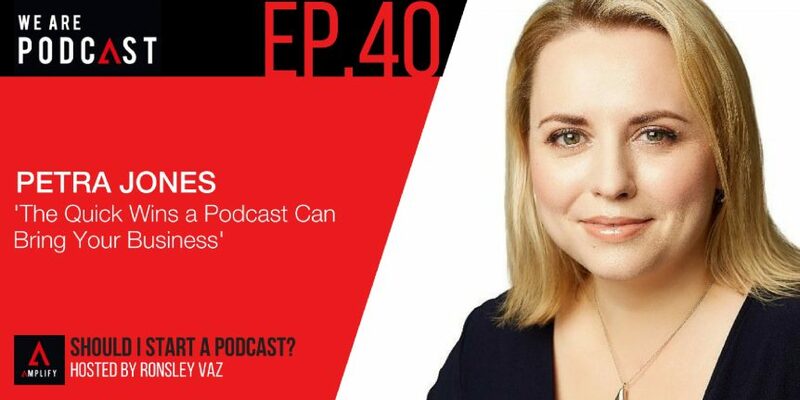 Petra recently found her authentic voice when she launched her podcast, The Mumpreneur Show. She pushed herself to overcome her fear of being visible. This experience allowed her to step into the spotlight with confidence. Petra now helps women to find their right media connection in today’s chaotic, fast-moving and often confusing business world. She guides her clients to step into their spotlight with a brave heart. When someone is considering a podcast as a medium, how do I know if it's for me? One thing I became really good at was the fact that I always made sure at the end of each episode to let my listeners know to come and engage with me and connect with me on other platforms. I always mention my twitter handle. I always mention email as well. Know your audience and know their problems. You might have to go and do a bit of homework and research. Have a process and structure for your podcast. I invested quite a bit of time at the start really looking for my winning formula. I really spent time there. Be yourself. Don’t try to be someone else. And have fun with it!